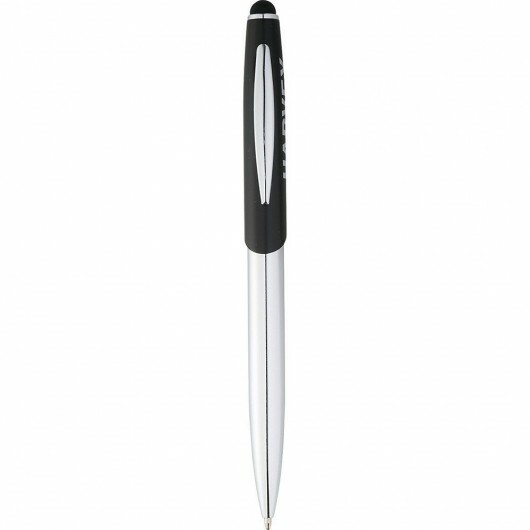 A writing instrument that features a sophisticated silhouette. A pen that you will NOT want to lose. 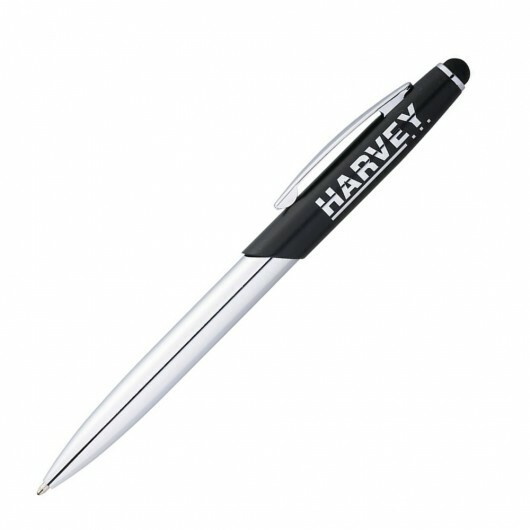 These sophisticated stylus pens have a top market look at an affordable price making them excellent for corporate gifts or as a giveaway. The pen has a matte upper barrel with shiny chrome lower barrel and accents. It's home to a premium black ballpoint ink cartridge and a rubberised stylus tip that's ideal for touch screens on phones, tablets etc. 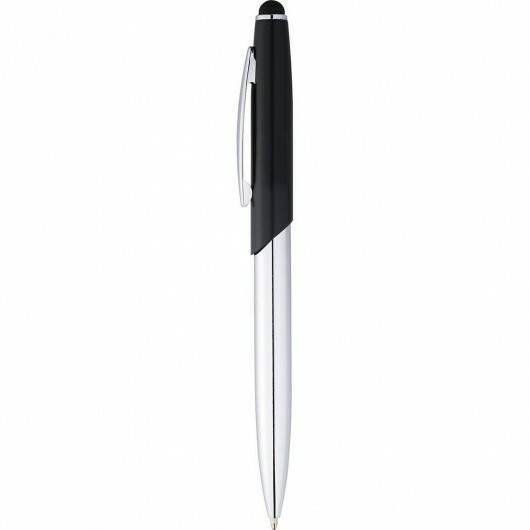 Available with a stunning mirror finish laser engraving or high quality print (for multi-colour print ask for pricing).